Gabions are wire mesh baskets that are filled on site with typically stone or rock to form larger building modules (Landscape Designers for Gardens & Parks, have used then for decorative use & filled them with Logs or even glass bottles). 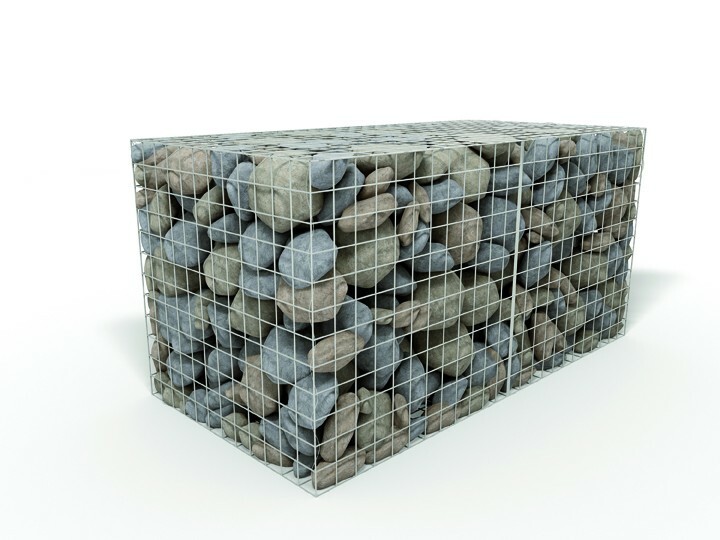 Although gabions could theoretically be manufactured of any type of wire or plastic mesh, the most suitable type of mesh is a dimensionally stable mesh that is non-ravelling. 3.0mm Galvanised wires are best used where the additional PVC coating is not a requirement, such as freshwater river applications and low height retaining walls on dry land where aesthetics are not paramount.